In 1984, already a winner of the Young Concert Artists International Auditions, Dawn Upshaw was invited by James Levine to join the studio of the Metropolitan Opera. From that time on, she has enjoyed a career focused equally on opera and concert repertoire. 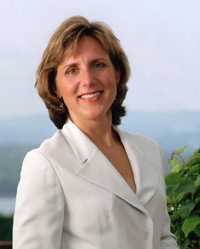 Her diverse musical tastes and versatility have enabled Dawn Upshaw to earn the respect and affection of an extraordinarily broad segment of music lovers throughout the world. In Amsterdam, Hamburg and Vienna her début role was Pamina in Die Zauberflöte. She debuted at the Salzburg Festival in 1986 as Barbarina and later sang Susanna in Figaro conducted by Bernard Haitink. In 1992 she had one of Salzburg's greatest successes as the Angel in a triumphant Peter Sellars production of Messiaen's St. François d'Assise and triumphed in 1996 again in Salzburg in the Peter Sellars production of The Rake's Progress. In Aix-en-Provence she has enjoyed great success as Despina in Così fan tutte and as Anne Trulove in The Rake's Progress, a role which Dawn Upshaw has made her own and which she also sang in concert with the Boston Symphony Orchestra and Seiji Ozawa, and at the Châtelet Theatre in Paris with the Los Angeles Philharmonic under Esa-Pekka Salonen. On the concert platform she has been invited by many of the world's leading conductors, among them Ashkenazy, Gardiner, Haitink, Harnoncourt, Marriner, Masur, Mehta, Norrington, Ozawa, Nagano, Salonen, Sawallisch and Sinopoli, to appear with many of the world's finest orchestras, including the Berlin Philharmonic, the Boston Symphony, the Chicago Symphony, the Cleveland Orchestra, the Los Angeles Philharmonic, the New York Philharmonic, The Philadelphia Orchestra and Concentus Musicus Wien. Her repertoire ranges from the sacred works of Bach and Haendel to the music of living composers such as Jacob Druckman and John Harbison. She frequently explores contemporary music in performances and recordings with a variety of colleagues, including the Kronos and the Arditti Quartets. Since her first recital at Alice Tully Hall in 1986, Dawn Upshaw has been recognised as a recitalist of limitless potential. She has been invited repeatedly by the world's most respected recital presenters, including London's Wigmore Hall, the Vienna Konzerthaus, the Edinburgh Festival and literally dozens of North American venues. Her recital partners have included James Levine, Richard Goode, Malcolm Gibson, Gilbert Kalish and Margo Garrett.